This is a pack of two white AKA Racing "EVO" 2.2 Front Wheels. 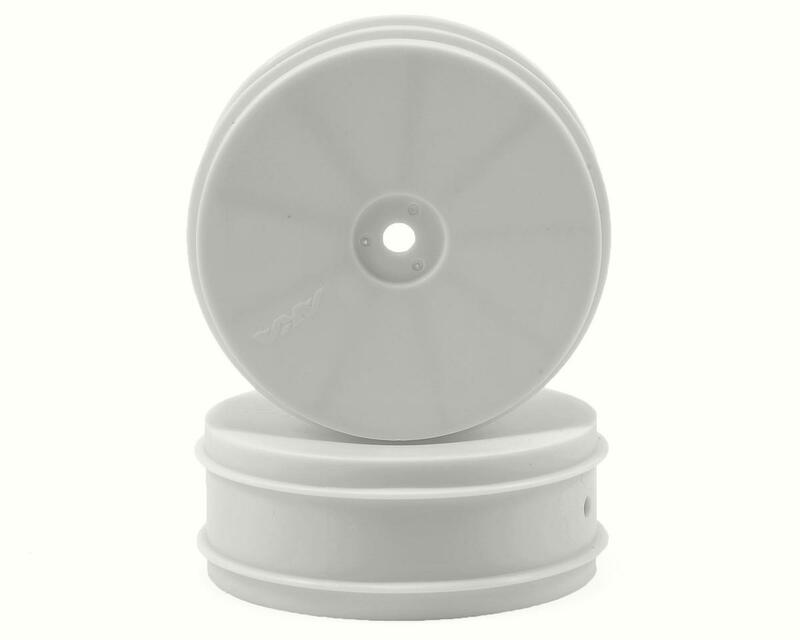 These wheels are compatible with Associated B4 vehicles equipped with a 12mm front hex, as well as the Kyosho RB5 and RB6. 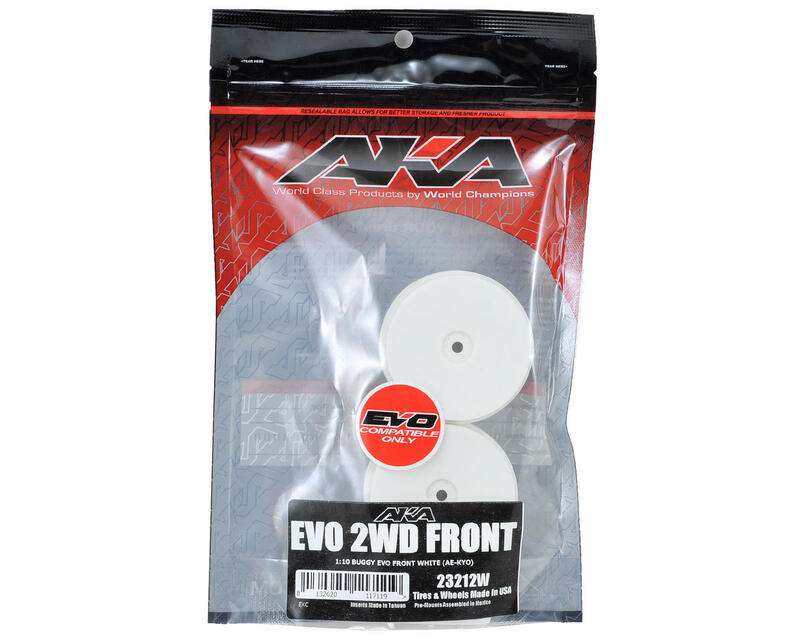 AKA 1/10 EVO wheels have taken 1/10 scale buggy racing to the next level by adapting the L-shaped 1/8 buggy bead to the smaller 1/10 wheels. The EVO wheel has been redesigned to be stronger and stiffer. The EVO wheel features pre-punched vent holes in the wheel, combined with the L-shape bead that makes tire mounting much easier by giving you a wider and easily accessible gluing surface to ensure a strong bond between the tire and wheel. NOTE: These wheels are only compatible with AKA "EVO" tires. The evo style wheel is my favorite bead made for a 10th scale. I've abhorred gluing 10th scale tires for 16 years now all the while being perfectly fine with my 1/8 scale wheels. This bead is so much easier to make even and clean and I've not ordered any other wheel or tire type since finding these.